I'm working in a wokshop, we have some CNC machine and now also a 3D printer (German Reprap) with Repetier server on a Raspi. The rapsi is then without X starded, only remotly access via the webinterface (or ssh sometime). The principe of a server is that we don't have a pc next to the printer, and we are two persones using it. As we are use to "normal" CNC machine, which get a keyboard for moving the head, me and my collegue are getting really crazy each time we want to move the head or the bed, going throug the menu isn't fun, or we have to go back to our desk... Bed leveling for exemple take lot of time only because of this. 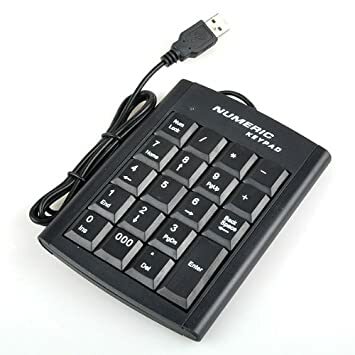 So the idea could be to get a normal laptop keypad, like this http://ecx.images-amazon.com/images/I/51+kDbxBKmL._SY355_.jpg , just pluged into the raspi and for exemple, use 1 to 9 for moving X and Y, then two other (why not Z) with + and -, 0 and 000 for extruding in or out. As safty, maybe having to press key combination, like pressing 5 (in the middle so useless for X and Y) to activate theses functions. Some keys could be the differents home then. By default it's also sorted by name, but the server doens't remind last sorting you used, so if i want to print the last file, each time i log in i have to click again on "sort by date". Adding folders possibility (and memory of what was the last position) could make it much easier! Appart from that, it's a realy great software, if you make theses modifications we will be happy to buy the pro licence! The simple solution is to use a smartphone to prevent walking to desktop. The api is described in our docs. You could write a small program translating keystrokes to gcodes send to server. Implementing it in server is no option as it is a server working in background. Sorting maybe should be stored like preferred view format. Will think about it. Will also think about folders. But they would require much changes on our side so do not expect them to appear soon.